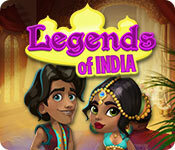 Legends of India is rated 3.0 out of 5 by 13. Rated 5 out of 5 by Dawgobert from First impression is deceiving At first, this looks like its a pretty straightforward, nobrainer, easy to do Match 3 game. You collect gold coins and wonder what they're even good for. As the game progresses, you find out that not only do you need the coins but that this game is definitely not a nobrainer at all. 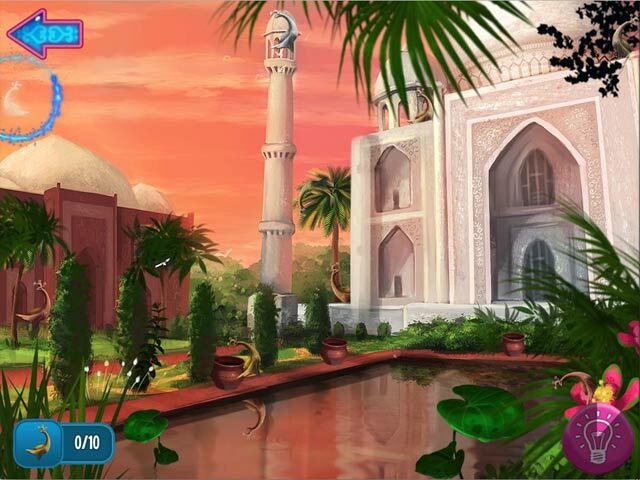 The scenes are colorful and the storyline doesn't really interfere much with the game play. 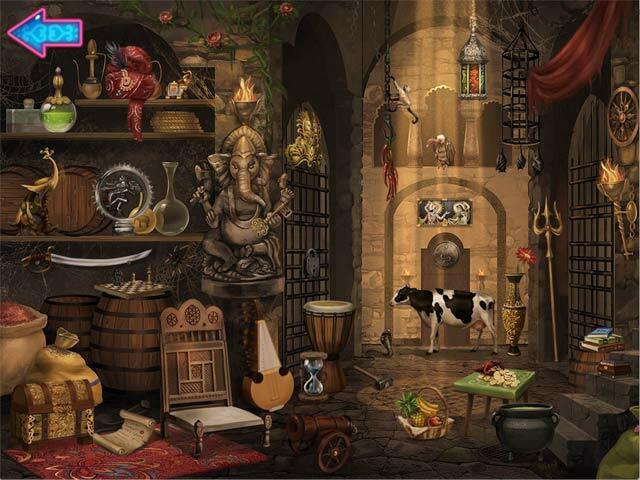 There are breaks with hidden object scenes but you do them quickly in order to get back to the real fun, the levels of the Match 3 play. I definitely recommend this game. It also, in my opinion, has a very hight rating as a game to be replayed over and over again. Rated 5 out of 5 by DivaBella from Relaxing little gem of a match 3 After the demo I had to get it. It's fun & addicting...The more you play the more fun it gets ..the demo doesn't do it justice . It also has some HO puzzles. It may not be for everyone but I like it cause it's simple & relaxing but not to childish. Rated 4 out of 5 by MissMaddie from I really like it !! Love the sound effects and fun bonuses. The challenge is thought provoking but not overly difficulty! Bought this Match 3 and loving it! Rated 4 out of 5 by Katie318 from I just bought this game... ...so obviously I like it more than other reviewers at this point. It is slow to get started. You don't know why you're collecting gold coins and you're not sure what the story is. After time, too long I admit, you find out that the gold coins buy boosters and you're looking for a treasure so you can win the prize--in this case, marriage to the king's daughter, who already happens to be your girlfriend. You are competing against a bad guy who apparently doesn't care diddly squat about the woman but wants to take over the empire. Anyway, there are lots of match-4 boosters to be obtained and obstacles to overcome, and as you progress the boards get harder to solve. I had no technical problems with the game and the graphics are bright and cheerful. Rated 4 out of 5 by whocanitbenow75 from Really not that bad! I'm not a huge fan of match 3 games, but I like to play them now and then. This one was actually pretty fun, with some interesting twists. Some of the levels have invisible pictues that you can match, some have empty squares that you can move a piece into, and some have a build up of pictures in one square, which you can move or match. It was pretty fun to play with all those differences. One part I didn't like was the level where you had to give the princess back the pieces of her bracelet by moving them down to the bottom of the board. Everytime you freed a piece it went to her and she yelled "Ouch!" It made me not want to give her the rest of the pieces. I think that was probably a translation problem. The game starts on relaxed, but you can go to the menu and change to limited moves and/or time limits if you want. Not a bad game, pretty fun. Rated 3 out of 5 by kerith90angel from This M3 could have been superb; if only it had better features... BASED ON COMPLETED DEMO I liked a few things about this M3 but it just didn't have enough to do. You don't build anything or work for matching in any way. 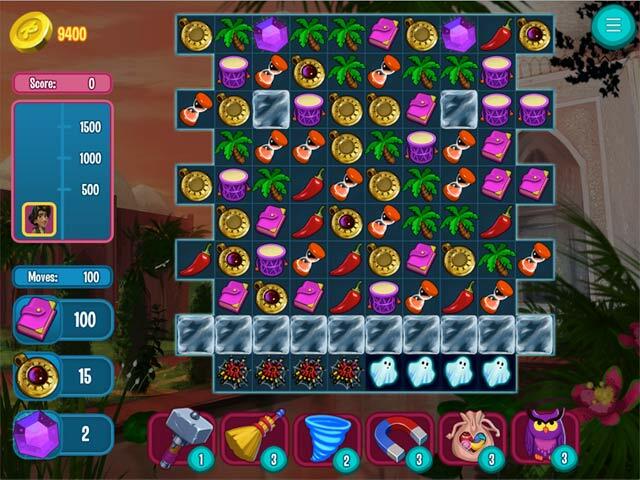 The basic point is to match several types of one item each level while wiping out a number of silver & gold squares. There is a cave room but it's entire purpose is pointless! You enter it and see each level that a new item appears with a glowing red area around it. Once you finish the next level one item will glow green instead of red. I could not figure out what the point was. You frantically collect these spinning gold coins (get them quick as they disappear) and have no idea where, or why, to use them until level 15. An upgrade hammer appears (2 other upgrades you see will unlock at some point). The hammer is used ONE time then you need to purchase another hammer for 50 coins. You really only need the hammer for the end of a level to get to those tricky silver corner squares that matching didn't rid. Around this time I had accumulated 12050 in coins! I couldn't understand why you'd need so much money to use/buy an upgrade ONE USE AT A TIME. There was only 1 HOS in the demo and it was finding several of 1 item. It took me around 25 seconds because the items weren't hidden. The music and sound effects are pretty good. The graphics are great and the icons were great. If they make another game like this I'd suggest adding something to use your coins on. That cave is pointless. So it would be great to be able to build something. I always like when they offer a screensaver or wallpaper to build towards keeping as "winnings" like we see in the game Fishdom Seasons Under the Sea. Rated 3 out of 5 by Queen_of_Parts from Confusing Little Game I'm a big fan of Match 3 games, so always play the newest ones. I'm just left feeling a bit confused by the whole experience of playing this one. What's the storyline? Why am I collecting gold coins? (In the hour's trial, I saw nothing to "spend" them on). It's very obviously stolen a lot of concepts from Aladdin - the characters are VERY similar. There doesn't seem to be much challenge to this - the levels I played in the trial all had unlimited moves and time limits. Maybe this changes in the later levels that I didn't reach in the hour. It is a way to spend an hour when bored, but I won't be buying it. Rated 3 out of 5 by Noonayah from More of a child's game but lacking basics Oddly, this game is missing some of the basics found in most others: an explanation of what the options graphics mean, in particular. I played it for a while but uninstalled it before the hour's trial ran out. Rated 2 out of 5 by dgeehring from Meh This is really my favorite genre when done right, but this one left me cold. You earn gold - but in the 20 rounds I played I have no idea why you earn gold. At the end of each round is a gratuitous populating of bombs that explode for a minute or so just boring you and wasting game time. Not much of a story or goal in playing.